At Cypress Lakes Lodge, we bring together the dual treatment approach with integrated family therapy, support and a holistic outlook on recovery. Our treatment center provides our patients with an interactive and therapeutic environment that’s all inclusive from the inside out. We make use of the land surrounding our sanctuary to envelop the holistic approach by living, breathing and interacting with nature. Cypress Lakes Lodge isn’t an institutionalized treatment center, but rather a retreat-like home setting which awakens the mind, body, and spirit back to a thriving natural state. The beauty that encapsulates Cypress Lakes Lodge is meant to be a symbol of everything wonderful waiting for you in a world free of drugs, alcohol and addictive behaviors. Cypress Lakes Lodge is proud to be a Joint Commission-accredited center. This accreditation is recognized nationally as a leading standard in excellence across a variety of healthcare disciplines. 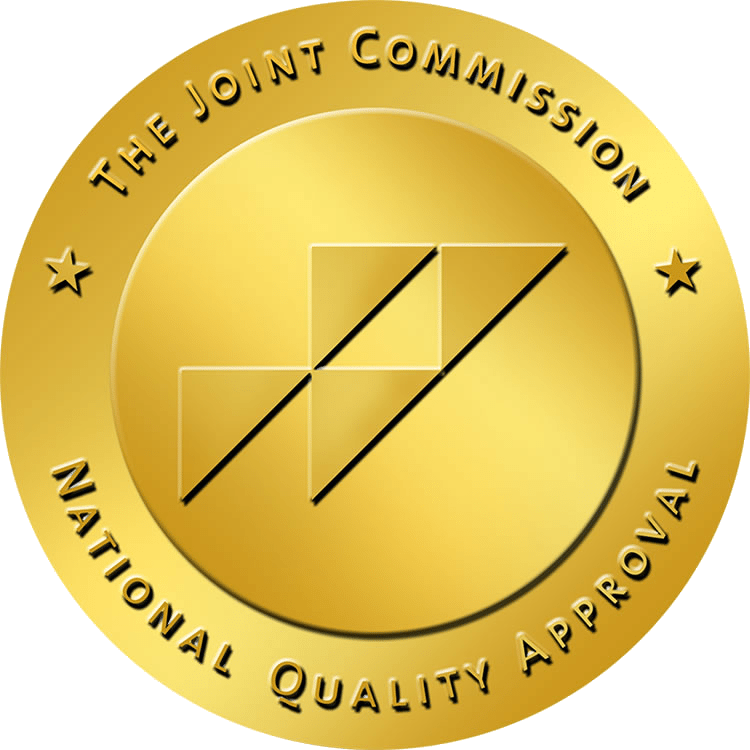 We are proud to be recognized by the Joint Commission and look forward to continually providing exceptional addiction recovery and mental health services. To learn more about how this distinction makes us unique, contact us today! We believe in building a strong foundation for each of our patients so that they may enjoy the fruits of their labors. There is a sense of calm, enjoyment, and complete comfort knowing that after rehabilitation you will have everything you need to be successful. At Cypress Lakes Lodge, we invite each patient to participate in their recovery every single day; recovery is a choice. We don’t punish our patients for their past, but rather embrace the belief in something far greater than us and focus on the future. For an effective and balanced treatment, it’s important that we believe in ourselves so that we can fight for a better life each and every day. Recovery treatment is about making a promise to ourselves that our sober future will be bright and can coexist happily with the world around us. Cypress’ staff and medical team take great measures to build a continuously safe and nurturing environment that cultivates trust between patients, staff and every individual that wishes to seek full recovery. Here you will find the building blocks for restructuring your life and work toward a brighter future. Everything before Cypress Lakes Lodge is accounted for and carefully acknowledged; we offer you a fresh start. It’s healthy to recognize our strengths and our weaknesses, but not to dwell on them; we must let go and live on proactively. Each day we begin with a list of personal goals and morning meditations to ponder how we plan to achieve these goals and be present throughout treatment in our mind, body and spirit. Daily chores, community and individual activities layout the day, to close with 12-step meetings and family style dinners. Collective recovery and camaraderie are at the height of our daily accomplishments because a team works together to be accountable and provide lasting support.